We offer and export a vast range of high precision pump sets and electric motors that are made from premium quality raw material, be it steel or plastic. The functioning of our products is unmatched in quality and are suitable in a wide range of voltage variation. 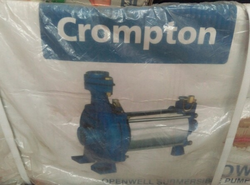 We also provide these products as per the customer specifications. High Electrical grade Stamping - M47 for better motor efficiency Copper Rotor with Chrome plating giving excellent electrical performance & offering non rusting property Burnished Shaft gives excellent surface finish & improved hardness for low wearing. 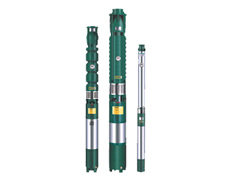 In our wide range of products, we are best in supplying best and most authentic looking collection of Open Well Submersible Pumps that are designed by best techniques and tools. Texmo three phase Open well submersible monoblocs are ideal for locations where the height of the water table fluctuates frequently. These sets need no adjustments in position as they rest at the bottom of the well. Bearings are water lubricated and the motor is designated to withstand a wide range of voltage fluctuations. three phase Open well submersible monoblocs are ideal for locations where the height of the water table fluctuates frequently. These sets need no adjustments in position as they rest at the bottom of the well. Bearings are water lubricated and the motor is designated to withstand a wide range of voltage fluctuations.